Well we had an interesting BBQ for the Fourth of July. Hazel has become paranoid that anything and everything will blow away in the wind after our Father's Day painting disaster. She threw a tantrum until we brought everything in and everyone in. So our BBQ became an inside party where poor Steve went out and cooked by himself. The kids however had fun playing and making crafts. I of course forgot to take pictures while the decorations were up (I was planning on taking them during the party). 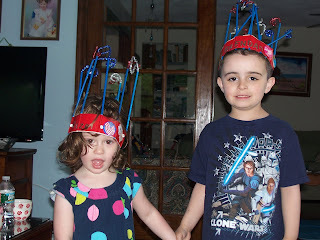 But I do have one of Hazel and her friend with the firework crowns on. On the actual fourth of July we went to Drumlin Farms. Steve had not gone with us yet, so it was nice to take him and have a relaxing day. 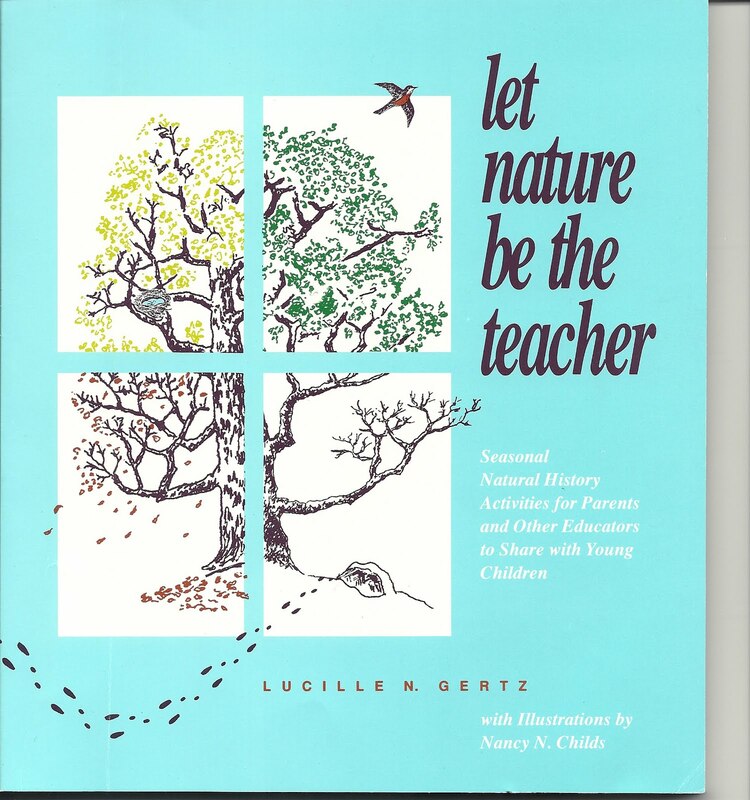 While there, I picked up a very inexpensive book Let Nature Be the Teacher by Lucille N. Gertz. To check it out try this link. 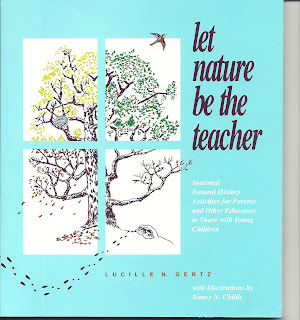 I cannot wait to go on some of the nature walks with Hazel and do some of the different activities. Some will have to wait until she is a bit older, but I want her to be more comfortable outside and with bugs and animals than she is now, so we better get her use to it. Well, I'm off to sew some clothes for Hazel. I quickly made her a doll sling this week. I followed somewhat the instructions on Domestic Dork. I used my serger though so I did rolled hems for the edges. So far Hazel doesn't like wearing it, but I'm going to keep trying. I want her to carry Ducky in it so I won't keep having my hands full when we are out and she wants to touch something. Good night! Please let me know what you are up to. I'm hoping we will begin sharing ideas here.